Hello!!! 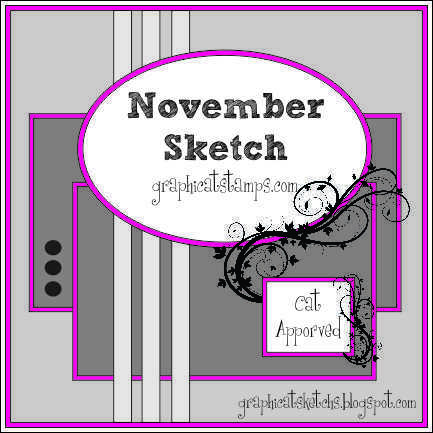 Time again for another sketch here at Graphicat Sketchs!! YAY! So glad you're here! Has won the Awesome Kids Clear Stamp set from Graphicat Designs!! Congrats girl1 Contact Cheri at graphicatcreations at gmail dot com and I'll get your prize out to you! Now! For this month's fun sketch! Oh and a prize! Graphicat Stamps will be releasing some FAB FUN Christmas sets and you'll win one of them! Be sure to check out the site this week and see! We will have more inspiration for you in the coming days and weeks from the rest of the Crafty Cat Crew! Be sure to have fun! Happy Crafting! Great samples by the team, I looooove Yvonne's, too funny! I'm definitely joining in this month!!! Love this sketch Cheri! Awesome samples too :) Can't wait to try this one. Yay! I won! THanks so much! I just sent you an e-mail!! YIPEE! Can't wait to get on top of this sketch!! What a nice sketch you have. 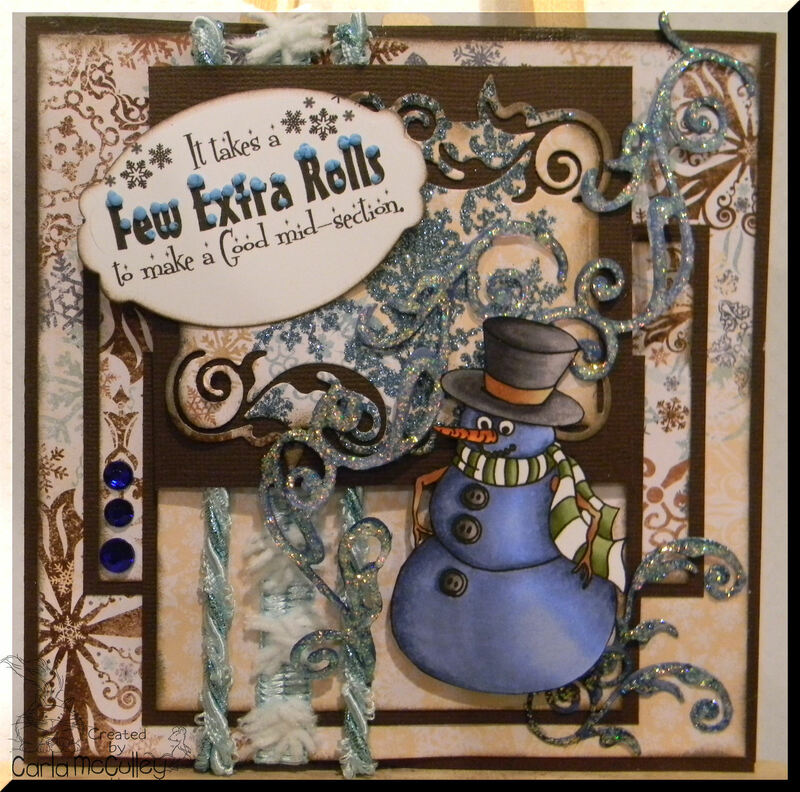 Fabulous sketch and the Graphicats have done some amazing cards. I have become a new follower and will be back with my own take on the sketch. Absolutely wonderful creations for inspiration. Thank you Graphicat and Graphicat DTs!!! 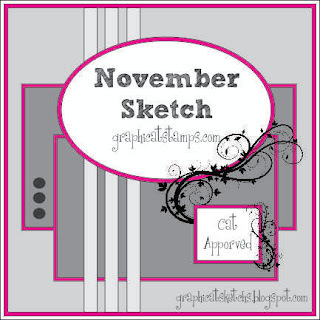 I know that I didn't use one of the Graphicat stamps this month but wanted to show the card I created using the sketch.